We identify and fill some gaps with regard to consistency (the extent to which false positives are produced) for public-key encryption with keyword search (PEKS). We define computational and statistical relaxations of the existing notion of perfect consistency, show that the scheme of  is computationally consistent, and provide a new scheme that is statistically consistent. We also provide a transform of an anonymous IBE scheme to a secure PEKS scheme that, unlike the previous one, guarantees consistency. 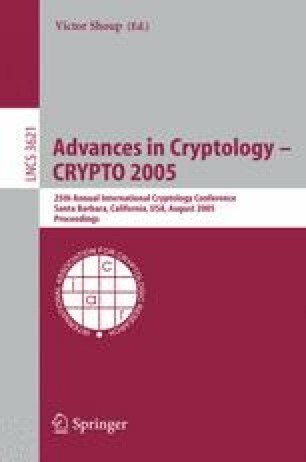 Finally we suggest three extensions of the basic notions considered here, namely anonymous HIBE, public-key encryption with temporary keyword search, and identity-based encryption with keyword search.